The marbles of four ancient sculptures of the Attalid Dedication in Pergamon were investigated. The isotopic composition of the fine-grained marble overlaps isotopically completely with the fine-grained Göktepe marbles. 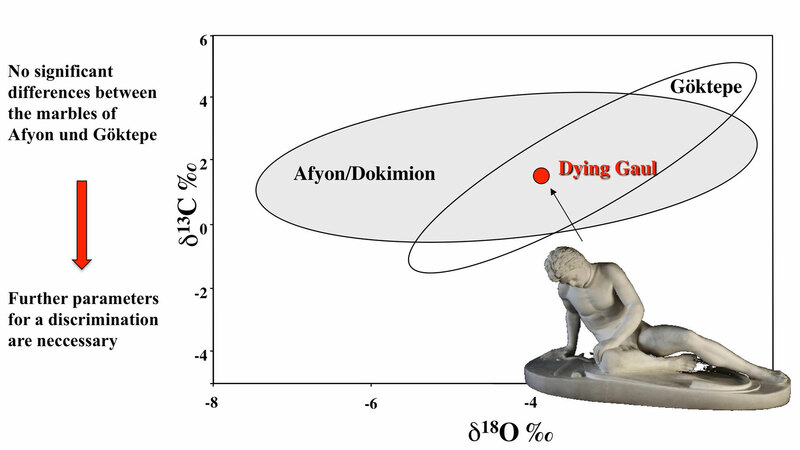 The complete isotopic overlap between the marbles from Dokimion and from Göktepe calls for the analysis of more characteristic parameters. 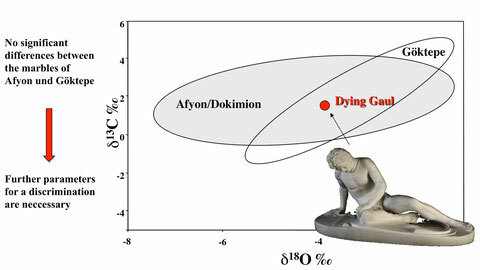 Trace element composition (especially Sr and Fe) can perfectly distinguish between the Dokimion and the Göktepe marbles. Thus the "big galati" are clearly assigned to the marbles of Afyon/Dokimion. 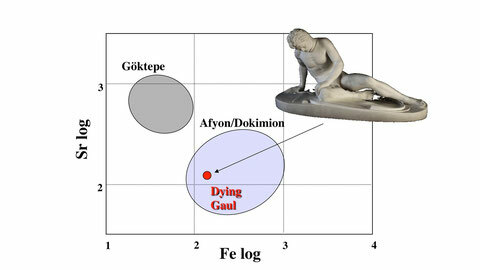 Trace element analysis clearly attributes the marbles of the "Dying Gaul" to the Dokimion quarries. Attanasio, D., Bruno, M., and Prochaska W.: The Dokimian Marble of the Ludovisi and Capitoline Gauls and Other Replicas of the Pergamene Dedications. - American Journal of Archaeology, v. 115,4, 575-587, 2011.